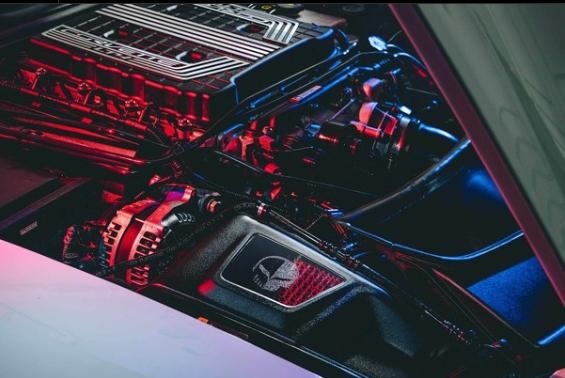 General Motors Performance now offers a warranty-compliant air intake upgrade for the current generation of Chevrolet Corvette, capable of boosting maximum horsepower by as much as 17. 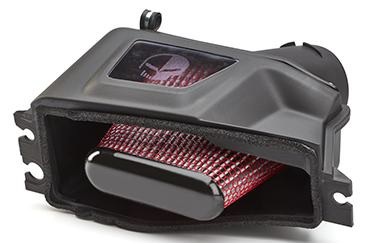 Using a revised airbox and a dry media filter (as opposed to many oiled-up aftermarket options), the intake can reduce restriction by as much as 30 percent. On the Corvette ZR1, with its supercharged 6.2-liter LT5 V-8, it cuts restriction by 26 percent and adds 17 horsepower for a total of 772. Corvette Z06 owners too can gain performance from the intake, which frees up the intake by 28 percent and generates an additional 11 horsepower for the car's supercharged 6.2-liter LT4 V-8, for a total of 661 horsepower. Owners of naturally-aspirated Corvettes get a 30 percent restriction reduction and presumably some extra induction noise but no extra power on the dynamometer. A trip to a local tuner may be able to free up a few extra hp with some added injector pulse width, though that could jeopardize your car's warranty, while GM Performance promises that the intake itself won't—provided it's installed by a dealer technician. The intake itself has a 12-month or 12,000-mile warranty, whichever comes first. The intake is sold through GM Performance's website, where suggested retail price of $625 is crossed out in favor of a $531.25 price. Installation by a dealership technician will add a few bucks to the price if you elect to take that route, where cited labor hours total 0.8 for ZR1s, and 0.6 hours for Z06 and naturally-aspirated models. We can't help but wonder if the extra few ponies are capable of pushing the ZR1's ludicrous top speed of almost 215 even higher. Surely someone out there has an airstrip with which to answer that question. While not official, it provides plenty to speculate about. The driver of the Caddy was struck twice in the shoulder but has not yet been charged, pending investigation.